Cold and cough is quite common during winters as the sudden fall in temperature allows the virus to spread rapidly. It's that time of the year again when cold and flu is taking a toll on people's health. Cold and cough is quite common during winters as the sudden fall in temperature allows the virus to spread rapidly. 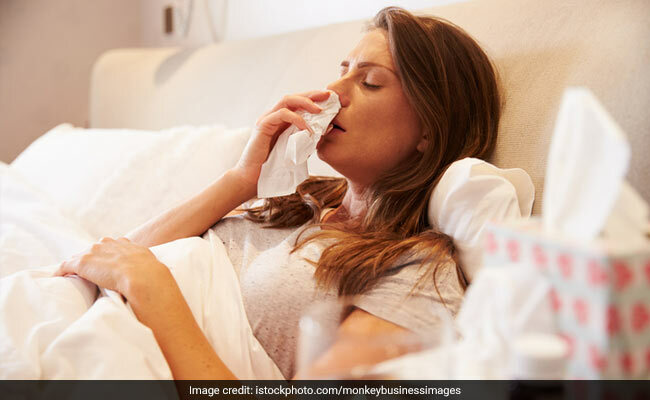 People who have a weak immunity system fall prey to these viral infections easily. Sometimes, it can turn out be fatal as well. According to the Centers for Disease Control and Prevention (CDC), the flu kills an estimated 250,000 to 500,000 people worldwide, every year. However, there are few home remedies that can ease the symptoms of cold and flu to a great extent. Garlic is a natural remedy for fighting cold and flu. It has a lot of anti-viral, antibiotic, and antiseptic properties that are quite beneficial during common cold. Having a spoonful of raw, chopped garlic can provide decongestant and expectorant effects. Onions are loaded with powerful compounds that can be beneficial for our body. Raw Onion is a great remedy for cough associated with cold and flu. It keeps the respiratory tract open and provides relief from lung congestion. Ginger has excellent antimicrobial and anti-inflammatory properties that can provide relief in the symptoms of severe cough and cold. While you are having tea, try including ginger in it as it will help in giving you a relief. Coconut oil helps in boosting the immune system to a great extent. It can ward off the illness with its anti-microbial properties. You can pair it with your daily meals. If you have a severe cough then you must go for honey as it will provide immediate relief. Pair it with a spoonful of ginger extract to get an extra soothing effect.